Definition - What does Extended Fierce Side Angle Pose mean? Extended fierce side angle pose is a standing hip opener that helps to release tension in the hips and inner groin. It is a variation of extended side angle pose. From a wide-legged standing posture, with the feet turned out, both knees are bent with the knee aligned in the same direction as the toes. The right forearm comes to the right thigh while the left arm reaches up and over the head. The torso stretches to the right as in extended side angle pose. It is then repeated on the opposite side. Extended fierce side angle pose is also known by its Sanskrit name, utthita utkata parsvakonasana. Extended fierce side angle pose may be modified by using a chair or table to support the bottom arm, reducing the intensity of the posture. 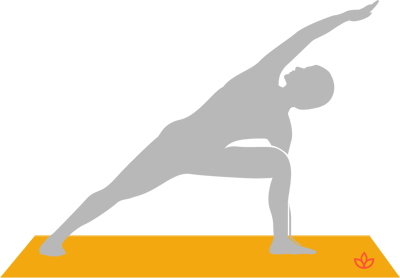 Extended side angle pose may be practiced as an alternative if extended fierce side angle pose does not suit the yogi’s body.